Discacciati 5012 solo adjustable piano stool from just-piano-stools.co.uk, Italian made Discacciati adjustable piano stool. 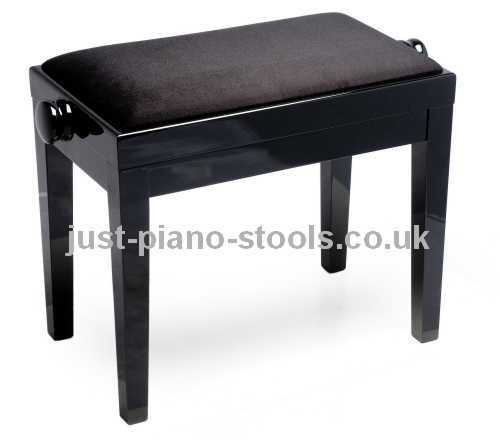 Just Piano Stools for the widest choice of quality piano stools. UK postage is included in the price. These Discacciati piano stools are available to order. Please allow up to six weeks for delivery. The Discacciati 5012 solo adjustable piano stool with tapered legs. Available in satin or gloss finish. The piano stool seat is available in vinyl or dralon in a range of colours. 55cm wide, 32cm deep and 48cm to 58cm high.